This asteroid was discovered by the Panoramic Survey Telescope and Rapid Response System (Pan-STARRS) in Hawaii in 2012. Pan-STARRS conducts a near-Earth object (NEO) survey funded by NASA's NEO Observations Program, a key element of NASA's Planetary Defense Coordination Office. 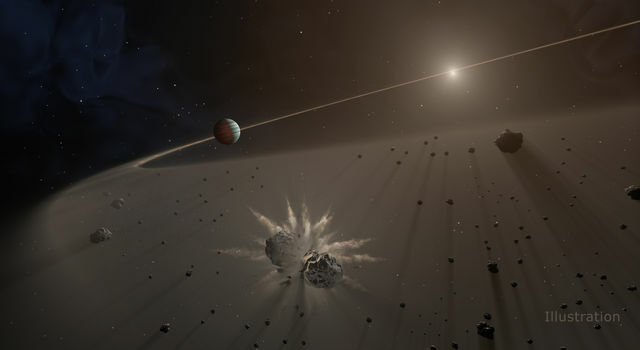 However, 2012 TC4 traveled out of the range of asteroid-tracking telescopes shortly after it was discovered. This "test" of what has become a global asteroid-impact early-warning system is a volunteer project, conceived and organized by NASA-funded asteroid observers and supported by the NASA Planetary Defense Coordination Office (PDCO). As explained by Michael Kelley, program scientist and NASA PDCO lead for the TC4 observation campaign, "Asteroid trackers are using this flyby to test the worldwide asteroid detection and tracking network, assessing our capability to work together in response to finding a potential real asteroid-impact threat." Asteroid TC4's closest approach to Earth will be over Antarctica at 1:42 AM EDT on Oct. 12 (10:42 p.m. PDT on Oct. 11). Tens of professionally run telescopes across the globe will be making ground-based observations in wavelengths from visible to near-infrared to radar. Amateur astronomers may contribute more observations, but the asteroid will be very difficult for backyard astronomers to see, as current estimates are that it will reach a visual magnitude of only about 17 at its brightest, and it will be moving very fast across the sky. Many of the observers who are participating in this exercise are funded by NASA's NEO Observations Program, but observers supported by other countries' space agencies and space institutions around the world are now involved in the campaign. Vishnu Reddy, an assistant professor at the University of Arizona's Lunar and Planetary Laboratory in Tucson, is leading the 2012 TC4 campaign. Reddy is principal investigator for a NASA-funded near-Earth asteroid characterization project. "This campaign is a team effort that involves more than a dozen observatories, universities and labs around the globe so we can collectively learn the strengths and limitations of our near-Earth object observation capabilities," he said. 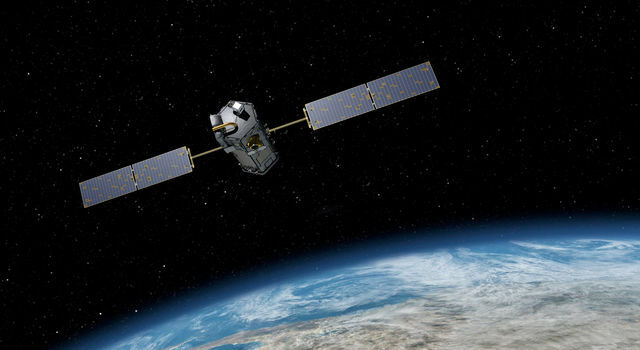 "This effort will exercise the entire system, to include the initial and follow-up observations, precise orbit determination, and international communications." In September, asteroid observers were able to conduct a "pre-test" of coordinated tracking of the close approach of a much larger asteroid known as 3122 Florence. Florence, one of the largest known NEOs, at 2.8 miles (4.5 kilometers) in size, passed by Earth on Sept. 1 at 18 times the distance to the Moon. Coordinated observations of this asteroid revealed, among other things, that Florence has two moons.